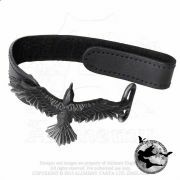 A black Raven with outstretched wings in fine detail on a black leather wristband with velcro fastening. 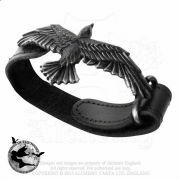 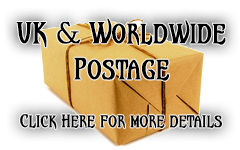 Fastening & Packaging:Alchemy's leather wristbands are available in one adjustable size. 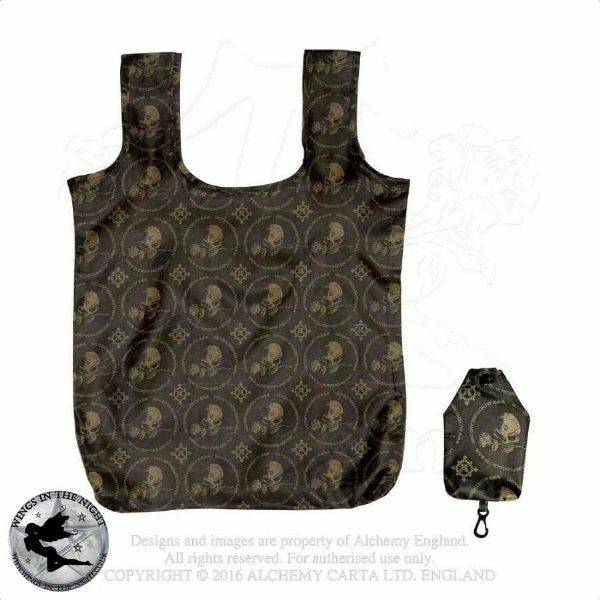 Packaged in an Alchemy branded bag, including Alchemy Guarantee and care instructions. 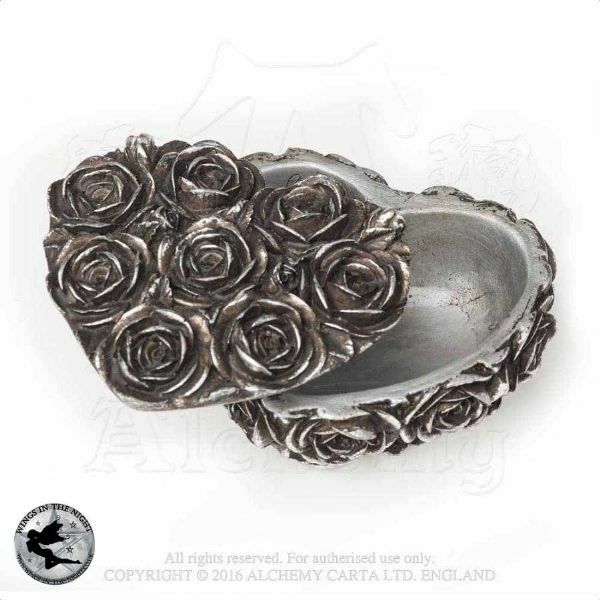 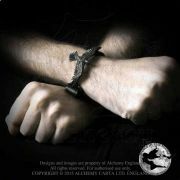 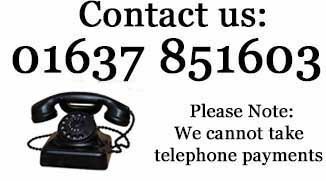 Materials & Origin: Designed and hand made in England in fine English pewter, (Lead, cadmium & nickel compliant).